For nearly 100 years, E.L. Mitchell’s emblematic photographs have shaped ideas about Australia. But who was Mitchell and why did he succeed above his competitors? 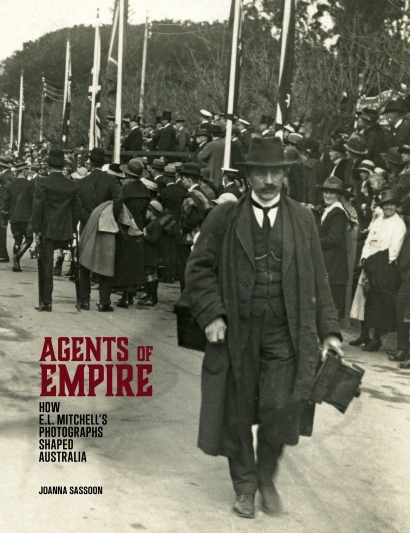 With unprecedented access to private collections and showcasing his extraordinary photographs, Agents of Empire charts Mitchell’s rise from his struggles as a migrant in New South Wales and Queensland to significant image-maker in Western Australia. It then follows the journeys of individual photographs across the world, and traces the stories behind the survival and destruction of parts of his archive. Agents of Empire breaks new ground in showing ways that photographs can be used as historical evidence and how archives can shape our understanding of the past.